For the last two years my family has travelled to Israel to celebrate the Jewish High Holidays. The High Holidays are four holidays separated by a week that start off the Jewish New Year every year. My husband is originally from a small village in the north of Israel near Haifa. While we go and visit his family we also travel around the country to visit friends and get a little vacation in. This year we visitedTel Aviv for four blissful beach days, Jerusalem, En Acre Nature Preserve, and Akko. My favorite places to visit on this trip this year were Tel Aviv and Akko. In Tel Aviv you have the big city, similar to LA with a beach vibe. Lots of pubs, boutiques, cafés, and art galleries. 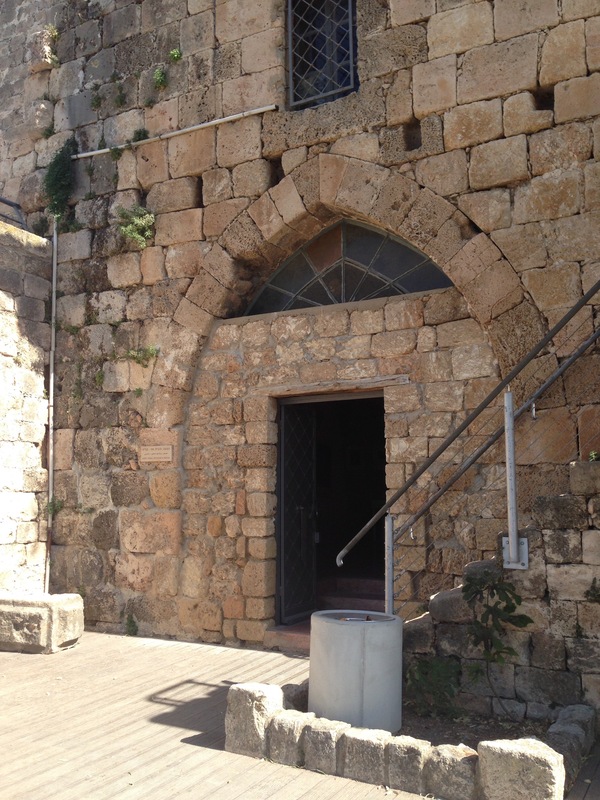 In Akko you see ancient architecture, the sea, and the souk. I love visiting markets and we actually visited one of the oldest markets in Jerusalem, that my great great grandfather lives near when he immigrated to Israel at the turn of the century-Maheneh Yehuda. I recommend if you go there to purchase and sample some of the halva for sale. It’s incredible! As we traveled through Israel I got to sample some of my favorite is really cuisine: bourekas, shakshuka, and pita with zaatar. Bourekas at savory pastries filled with cheese, potatoes, mushrooms, spinach, or meet. They are served with hard-boiled eggs and pickles. Shakshuka is a dish made of eggs basted in a spices tomato sauce-this year I tried “purple” shakshuka that was made with beets. It was accompanied by tahini, fresh bread, and vegetables. Zaatar is a spice blend commonly used in Middle Eastern cuisine. In Israel they mix the spices with olive oil and then brush it on to peters, roasting the pitas. Yes I’m a huge David Bowie fan! So when I started blogging after we returned from our trip to Israel it came as a welcomed opportunity to express myself -I haven’t had much time to do that since Adam was born. As I’ve started blogging and built my small, yet loyal following, I also started working from home part time. ALL WHILE being a full time mom. SO -yeah, my schedule is packed! It can be overwhelming at times. My work is growing which is great because it’s also flexible, but it’s taking a lot of time. As such, I will need to switch back to two posts per week for the meantime on the blog. I will be posting on Wednesdays and Saturdays starting next week. If you’re not already following me on Instagram-I highly recommend it. I post on Instagram almost daily. Some posts to look forward to this month are about a Las Vegas art installation I participated in as both a mom and a teacher, DIY Mickey Mouse bedroom decorations and furniture I made for Ben’s room, and how to talk to a toddler about art. So please keep subscribing and sharing and pinning away! L’Chaim! Liza.